On the left wrist, you wear a watch. What goes on the other wrist? One the one hand (so to speak), there is something to be said for the obvious answer: nothing. If you’re sporting a styley, conversation piece like one of these watches, you really don’t need any more conversations. On the other hand, in certain circumstances, a couple of funky bracelets do add value to the outfit, and a vacation at the beach is one of them. The idea is not to deck yourself out from head to toe in surf-bruh gear. 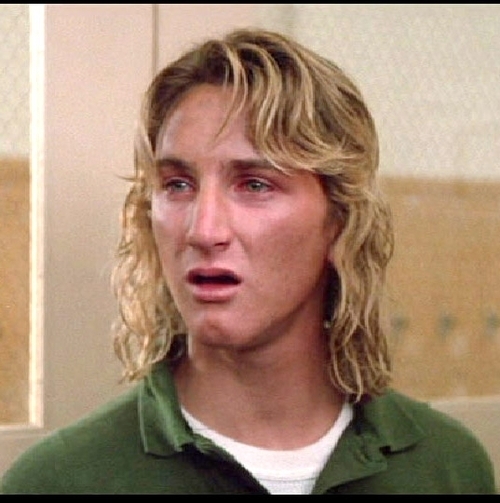 You don’t need a coral necklace, a pair of raybans, board-shorts, AND gnarly hair. Or, actually, any of these. 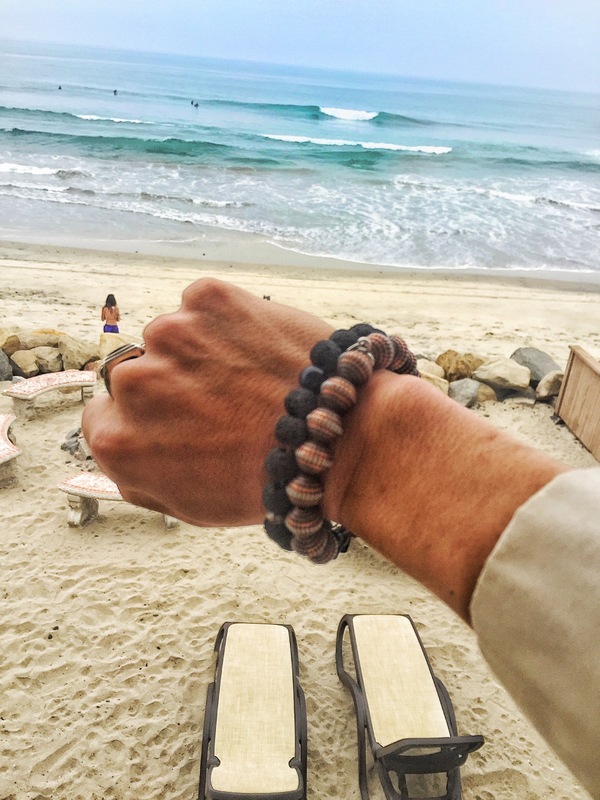 Instead, a couple of beaded bracelets will compliment a dapper outfit and add a few grains of beachiness without doing free marketing for Bodyglove or making you look like Spicoli. These two bracelets are from eBay; they cost under 10 dollars for the pair, are made from lava and wood, and go well with a kakhi blazer (pictured) and a bright pair of chinos (for the full outfit, click here). You might also try Etsy for handmade bargains. One thing I have discovered this summer, so far, is the power of “just a little bit.” Gabi and I spent 4 days in San Diego, and it was as relaxing as two weeks. I am someone who is susceptible to saturation. I find things I like and I have a tendency to go overboard. I’ve been like that since I was a child. 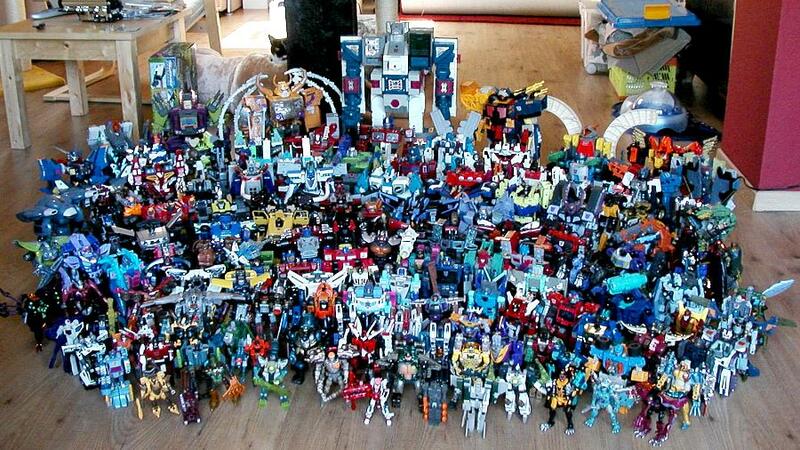 My friend would have a small shoebox of Transformers and I’d have them on every shelf, overflowing my closet. The mindset I’d like to cultivate is being easily satisfied with a little bit of something. This reminds me about the power nap that turns the whole day around. The walk in a city park that leaves me rejuvenated. 10 minutes of meditation. A few songs listened to, attentively, on headphones. A quick catch up with someone I love on the phone. The handful of almonds that satisfies hunger as deeply as a three-course meal (although I suggest you avoid being present when I get my hands on a bag of Funyuns; it is not a pretty sight). And if life gives me more, great. I’ll just have to brace myself. For a deeper dive into the world of men’s accessories, click here. I know, right? I had no idea how lucky I was! Did you have a favorite? Cufflinks: How To Wear Them...And How Not To. Top 5 Styley-Casual Shoes for Men.